“A Wonderful Valley” by Mr. Gordon V. Barrows, M.B.A.
Good evening and thank you to the administration, teachers, parents, grandparents, family and friends for the support you have given and continue to give to our graduates. And graduates, honor your parents. I wouldn’t be here today without my mother – hi mom, I love you. And to my earthly father and my heavenly father, I know you’re both watching over me. Make your parents proud as you walk off this stage to begin your adult life. I want to begin by congratulating today’s graduates. That is all of you, the amazing men and women of the Redbank Valley High School class of 2018! I am incredibly honored and humbled to be here today, and grateful to all of you for allowing me to be part of your graduation. It’s my understanding the process for choosing the commencement speaker is extremely competitive, so after Taylor Swift, Drake, Lady Gaga and Ed Sheeran couldn’t make it, you got stuck with me. Don’t worry parents, you remember what it was like when you had to explain Michael Jackson or maybe even Elvis Presley to your parents. When preparing for today’s speech, it brought back memories of what it was like for me attending Redbank Valley High School, just over a decade ago. I sat in the very same seats, anxious, but excited for the next step in life. While I reflected on the past 13 years since my graduation, I asked myself, if I could go back in time, what would I tell the graduating version of myself? Sadly, I heard these phrases come from young folks and adults, time and time again. I want to thank these folks as they fueled the fire that gives my life purpose. Following graduation from high school, George Baily wanted to ‘Change the World.’ He longed to travel overseas and become a famous architect, and he was profoundly unhappy with the small-town life of Bedford Falls. But I’m here to tell you today, that you can ‘Change the World’ even from the small-town life of our little Valley. Despite eventually obtaining a decent job, a lovely wife, several beautiful children and living in a community of well-meaning friends and family, this was not enough for George. While there are so many life lessons to be learned from this movie, one lesson that is especially appropriate as you graduate high school is understanding that as you begin your adult lives, they should not be defined solely by personal success and enrichment, but by your generosity towards others. We all get meaning from our communities. Whether our communities are school or sports teams, churches or music groups, they give us that sense we are part of something bigger, that we are not alone; they give us the strength to expand our horizons. You may not realize it now, but as you graduate, please tell your teachers, cafeteria workers and custodial staff ‘thank you’ and how much they mean to you – God blessed me with the opportunity to tell Mr. Reefer shortly before he passed just how incredibly grateful I was for his generosity and kindness. Most of you will never realize the personal sacrifice these folks make, just to see you succeed. As you graduate, many of you will be going on to college, or to the military (thank you for your service to our country), and some may also enter the workforce. While your teachers influenced this first part of your life, you’ll eventually realize the importance of role models and community leaders. Do you know what all these people have in common? They stayed, they came back, they work here and some even employ others in this community. They’re successful business owners, managers, community leaders and all of them have ties to Redbank Valley School District. Remember earlier when my peers said there were no jobs and no opportunities? 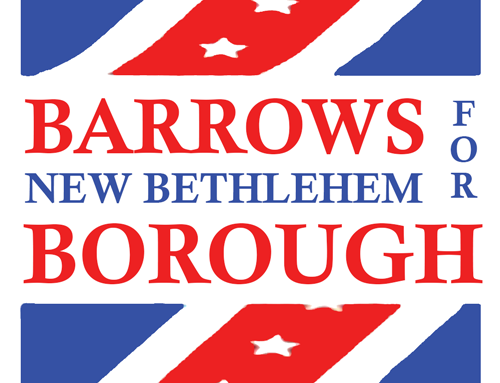 Many communities, including those in the Redbank Valley are always looking for more electricians, plumbers, heating/AC, painters, carpenters, appliance technicians, masonry, concrete and welding, lawn maintenance and snow removal, car and truck repair, church and business secretaries, home health aides, firemen, police, EMT and the list goes on and on…and let’s not forget about the recreational and business opportunities of the Redbank Valley Trail for bike shops, shuttle and rental services and B&Bs. As you graduate today, many of you may eventually work for or even operate a family business. No jobs? No opportunities? 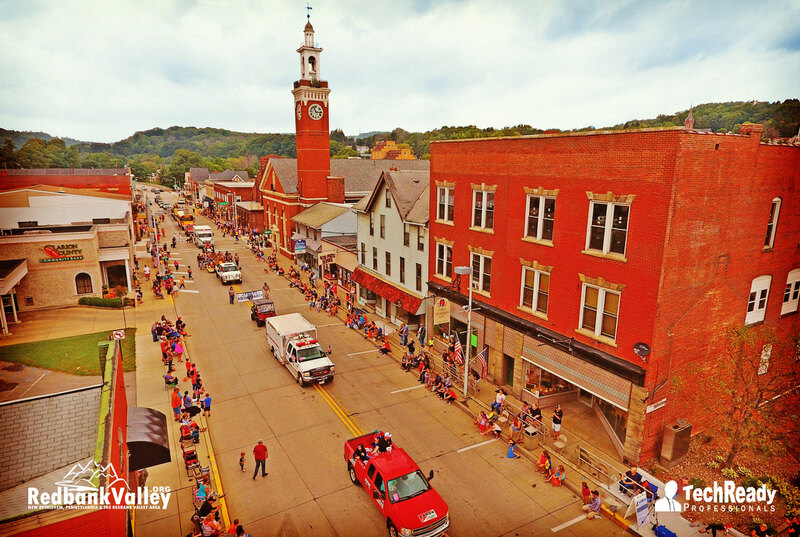 How about the many family businesses that make the Redbank Valley a great place to work, live and raise a family? Do you know what all these family businesses have in common? Redbank graduates own, operate, or employ other Redbank graduates at these businesses. 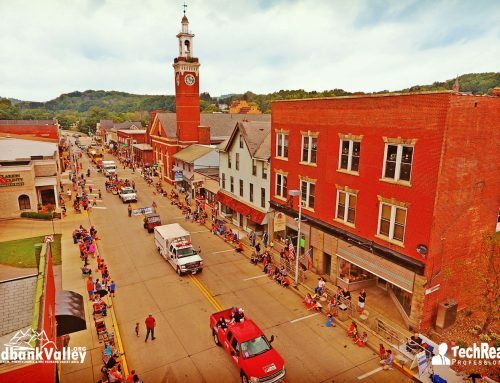 We have so many incredibly talented and successful individuals and businesses, all who once sat in your shoes, who walked these halls, who give selflessly of themselves so we can call the Redbank Valley our home. 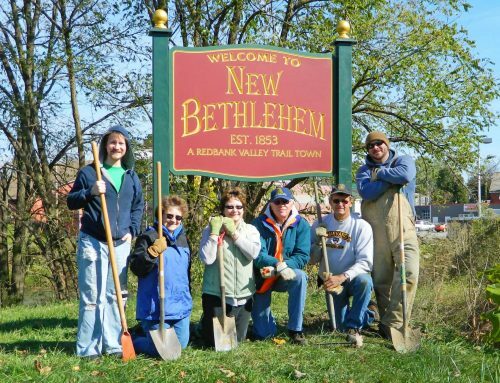 Many of these same people volunteer in our churches and community organizations and all welcome new volunteers. Don’t be afraid to ask questions, learn from them and ask for their advice. Remember eye contact and a firm handshake, make a good first impression. My good friend John ‘Rusty’ Price always says, ‘You don’t get a second chance to make a first impression’ which I’m pretty sure if from an old dandruff shampoo commercial, but still, it’s great advice. As you leave Redbank today, you leave not just with an education, but you take your place among the fortunate. Some of you came here from families where education was expected and emphasized. Others of you had to overcome far more obstacles to get here. What an amazing accomplishment. But no matter where you started, or wherever you may go, as of today you are all privileged. You are privileged in the most important sense of the word, which is that you have almost boundless opportunity. So, the question is, what are you going to do with it? What will you do with this education you worked so hard to achieve? What in the world needs to change, and what part do you plan on playing to change it? Like everyone here, I have great hopes for the members of this graduating class. I hope you find true meaning, contentment and passion in your life. I hope that you navigate the inevitable hard times, that you find a way to persevere, and that you come out with greater strength and resolve. I hope that whatever balance you seek, you find it with your eyes wide open. And I hope that you, yes, each and every one of you have the ambition to aim high. The world needs you and we are all counting on you. In closing, no matter what profession you choose, you can make a choice to be aware of what is going on in your community. Choose to pay attention to social issues and community needs. Choose to make a real difference. If you don’t have a job yet, volunteer. Be the inspiration that fills the gap. You have so much power, so much opportunity; make sure this education, this amazing gift, doesn’t go to waste. Your graduation signifies some of the first steps towards living a ‘Wonderful Life.’ No matter where God leads you, no matter where you decide to live, or what path you choose to follow, take pride in your community and give selflessly to others.…if you live a life that has greatly enriched the lives of those who surround you, for the betterment of the common good, then you will live a meaningful and rewarding life. Congratulations on your graduation, may God Bless you, and may God Bless this ‘Wonderful’ Valley. Thank you.